BOOM! Studios knows a thing or two about playing Santa Claus, especially considering their release of Klaus #1 was such a big hit. 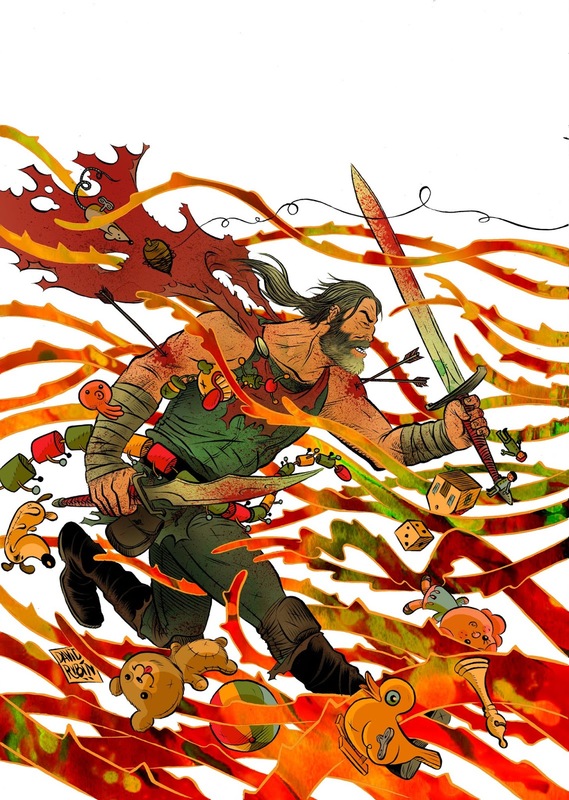 So big, in fact, that Klaus #2 has sold out through its first printing at the distributor level, prompting a second printing. 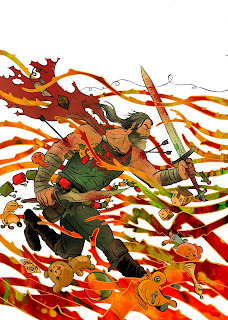 Klaus #2 second print ships with a new cover by David Rubín and carries a retail price of $3.99 under Diamond Code NOV158280. Orders close on January 4th and copies are anticipated to be in stores on January 20th. Set in a dark fantastic past of myth and magic, Klaus tells the story of how Santa Claus really came to be. Where did he begin? What was he like when he was young? And what happens when he faces his greatest challenge? Drawing on Santa Claus’ wilder roots in Viking lore and Siberian shamanism—taking in the creepier side of Christmas, and characters like the sinister Krampus—Klaus is “Santa Claus: Year One.” In issue #2, as the downtrodden people of the twon of Grimsvig struggle under totalitarian rule, Klaus stealthily evades the guard and slips magical, living toys into the poorest of homes to lift their spirits. Christmas Comes Twice This Year! December 29, 2015 (Los Angeles, Calif.) - Looks like there was one more present left under the Christmas tree! BOOM! Studios is pleased to announce that the second issue of Klaus, their hit original comic series by Grant Morrison and Dan Mora that details the epic origin of the one and only Santa Claus, has sold out through its first printing at the distributor level. The publisher has rushed to a second printing to fill demand. Klaus #2 second print ships with a new cover by David Rubín (The Fiction) and carries a retail price of $3.99 under Diamond Code NOV158280. Orders close on January 4th, and copies are anticipated to be in stores on January 20th. Comic book fans should bear in mind that first printings of Klaus #2 may still be found at the local comic shop nearest you. Not sure where your nearest comic retailer is? Use comicshoplocator.com or findacomicshop.com to find one!